Some historians claim that the Celts in 4th century BC, after happily laying waste to Northern Italy, brought back with them the rudiments of wine-making so that they could enjoy a drop of their own home-brew! In 52 BC the Romans get their revenge and in a short space of time, the recently conquered Celts become Roman citizens, planting vineyards and paying taxes. So that by the end of the 1st century AD the vineyards of the present day of Burgundy already seem to be flourishing.The advent of Christianity and the nobility’s favourite pastime of donating vineyards to the Church in order to increase their chances of a favorable verdict on Judgement Day, gave Burgundian wine-making a huge impetus, since both of the Benedictine monks of the great Abbey of Cluny in southern Burgundy and the Cistercian monks from the later abbey of Cîteaux were extremely learned and hard-working. They, of course, had a slight vested interest in both quantity and quality since their wines were a most important source of revenue for the functioning of their many religious establishments across Europe. In fact, the Cistercians created Burgundy’s largest wall-surrounded vineyard, the Clos de Vougeot in 1336 and they were the first to notice that different vineyard plots gave consistently different wines, thus laying the foundation for the region’s notion of « terroir ».The principal cause for the complexity of Burgundy’s land divisions are found in the Napoleonic inheritance laws, which give equal inheritance rights to all children of a family. Before the French Revolution (1789), the French church and nobility owned most of Burgundy’s vineyards, but these were sold off and fragmented by the revolutionary government, and have been further divided with every subsequent generation.Until the second half of the 20th century, most of Burgundy’s vine-growers would sell their grapes to négociants, who would then assemble wine from different appellations and producers and then market and sell them under their own name. Demand for Domaine-bottled burgundy carrying the hallmark of one grower-winemaker plus a new forward-thinking generation of younger winemakers changed the scene so that the consumer now has the choice of different styles of wine, all possibly made from the same small vineyard. Unlike France’s other famous wine region Bordeaux, Burgundy is a still very much a land of farmers. While most famous Bordeaux wine estates are large and centred on a grand château inhabited only rarely by their absentee owners, Burgundy’s vineyards are mostly in the hands of the men who work them and the average land holding is just 19 acres (many are a lot smaller!) whilst the national average is some 22 acres. Even the regions’ bottle shapes are different, with Bordeaux’s high right-angled shoulders and Burgundy’s sloping hunch. Burgundy is a region in north eastern France with around 74,000 acres of vineyards to Bordeaux’s roughly 300,000. Bordeaux is in south western France and has its famous Left and Right Banks, and five “growth” classifications (including the universally known “First Growths” such the Rothschilds, Chateaux Margaux, etc. ), whereas Burgundy has its Grand and Premier Cru and Villages designations, smaller family-owned operations that make up the region’s almost dizzying patchwork of vineyards—about 100 different appellations. The Burgundian climate is mostly continental, which means relatively short summers and cool winters, making it a challenge for the grapes to ripen fully. The greatest threats for Burgundy’s grape-growers – especially those in Chablis – are spring frosts and hail, which can cause great damage to flowering vines. The landscape here is characterized by its limestone soils, manifested either in rolling hills, steep, sharp valleys or rocky outcrops. These soils are of immense importance to the character of Burgundy’s wines, bringing a minerality and complexity – particularly to the white wines. In fact, along with considerations of orientation, it is the composition of the soils which lends itself to the notion of « terroir » and hence the system of classification in place today. Burgundy wines come from several distinct sub-regions, each with its own particular character. Four of these are located in the heart of Burgundy, in a narrow strip running for 75 miles (120km) between the towns of Dijon and Macon. From north to south they are the Cote d’Or (comprising the Côte de Nuits and Côte de Beaune), the Côte Chalonnaiseand the Mâconnais. The odd man out is Chablis, an isolated pocket of limestone hills in north-western Burgundy producing white wines from the Chardonnay grape variety that is quite distinct in style from their brethren in the Côte de Beaune. To the immediate south of the grand white wine vineyards of the Côte de Beaune lies the Côte Chalonnaise, named after the nearby town of Châlon-sur-Saône. Whereas vines are by far the principal crop of the Côte d’Or, this gentle landscape is much more variably agricultural with the odd vineyard punctuating rolling meadows. 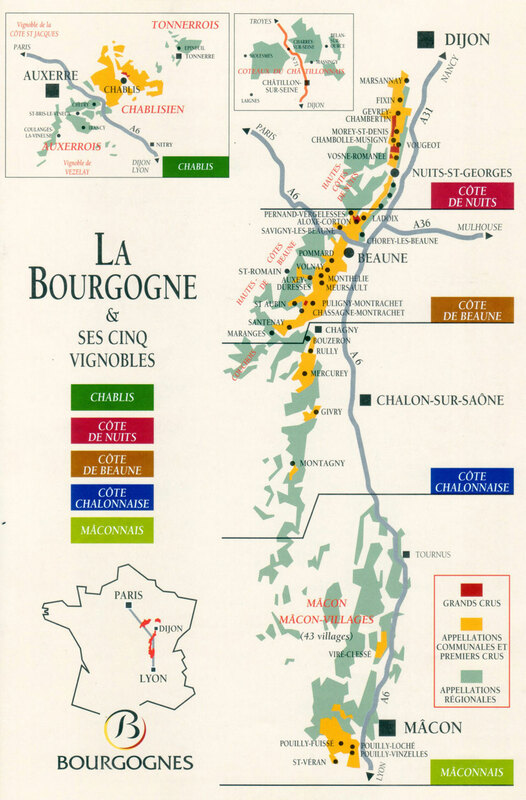 The wines, made from Chardonnay or Pinot Noir except for the village of Bouzeron which specialises in the Aligoté, can taste very similar to those from the Côte d’Or, but their early drinkability and generally lower prices make them extremely popular. They range from smooth Chardonnays with light oak influences and citrus fruits to earthy soft-tannin Pinot Noirs with aromas of ripe black fruit such as cherries or blackcurrants. Some claim that this wine district shows such a high level of consistency and know-how that in many cases it makes up for the district’s lack of top-quality sites. And of course, when you don’t enjoy the international renown and glitz of the nearby Côte d’Or, you have to put in that much more effort in a demanding market place to produce great wines. What is certain is that these wines often offer the best value in Burgundy.However, the market is fast correcting itself and the price of wines from the Cote Chalonnaise appellations are about the same as those from the Côte d’Or’s less well-known villages. Bouzeron is the first village in the northern part of the region, and the only appellation devoted to the other white grape of Burgundy, Aligoté. Here, this often underrated grape variety produces a deliciously refreshing wine; the best of which has subtle aromas of flowers and honey, with a zesty citrus backbone. Great summer drinking! Givry produces mainly red wine and is an extremely reliable appellation. Probably the best known of the villages, Mercurey is also predominantly devoted to Pinot Noir, It is the district’s most important appellation by far and there are several premiers crus vineyards which are capable of making wines with lovely soft tannins and packed with fruit. Montagny is entirely planted with Chardonnay and they also make pretty good sparkling wine in the form of Crémant de Bourgogne made in the traditional method just as in Champagne. Rully is fairly evenly balanced between growing Pinot Noir and Chardonnay and can produce some very good wines from both. The Côte de Beaune is the southern half of the escarpment of the Côte d’Or and is named after the medieval town that is the heart of the wine trade in Burgundy. It is quite different than its neighbour, the Côte de Nuits, to the north. Here, the valleys are open and rolling, the vineyards have more of a southeasterly exposure and Chardonnay plays a more important role with 7 of the 8 Grand Cru vineyards producing white wine. Vineyards, whose wines, according to one admirer of great Burgundy, « should be drunk bare-headed and kneeling » – Corton, Corton-Charlemagne, Puligny and Chassagne-Montrachet, Meursault. This handful of villages and their surrounding vineyards produce some of the most savoury, full-bodied, best-ageing dry whites in the world. It is only after two or more years of bottle ageing that a good white from the Côte de Beaune will start to show the quality of the fruit, which will deepen with age. 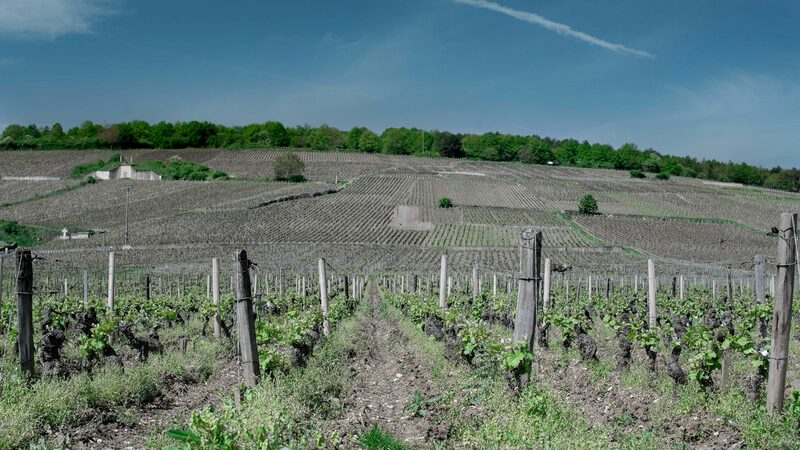 As in its northerly neighbour the Côte de Nuits, a cross-section of the escarpment reveals topsoils too sparse on the hilltop and too fertile in the plain to produce great wines. Therefore Pinot Noir and Chardonnay planted in the lowest vineyards, on flat, fertile land tend to produce generic Bourgogne Rouge and Bourgogne Blanc, as well as Bourgogne Aligoté and its red counterpart Bourgogne Passetoutgrains. These, in turn, give way to village appellation vineyards; as the ground starts to slope upwards, drainage improves, and the soil is less fertile. Where the slope becomes more pronounced and clay gives way to stonier topsoil, the vineyards enjoying improved drainage and greater sun exposure are often designated premiers crus and only the really finest classified as grand crus. The best-known villages of the Côte de Beaune are Aloxe-Corton, Beaune, Pommard, Volnay, Meursault, Puligny-Montrachet, and Chassagne-Montrachet. However, there are numerous lesser known smaller villages offering particularly good value for money such Auxey-Duresses, Chorey-lès-Beaune, Ladoix-Serrigny, Monthélie, Pernand-Vergelesses, St-Aubin, St-Romain, Santenay, and Savigny-lès-Beaune. Another interesting appellation is Bourgogne Hautes Côtes de Beaune where the are some really interesting red and white wines to be discovered. These vineyards are at a slightly higher altitude where the climate is marginally cooler and therefore they tend to produce slightly lighter wines. They can be particularly interesting when the growing season has enjoyed long hot conditions and the grapes are harvested and peak maturity. When it comes to ageing these great white Burgundies, a village appellation wine should be at its best between three and five years old, a premier cru from five to 10 years, while a grand cru worthy of its status needs a full decade of bottle ageing. The Côte de Nuits begins just south of Dijon and runs some 20 odd kilometres to the village of Corgoloin. It is the northern half of the escarpment of the Côte d’Or, named after its principal town of Nuits-St-Georges. It is also home to 24 of the 34 Burgundian Grand Cru vineyards and some of the world’s most expensive vineyard real estate. This northern sector of the Côte d’Or produces some of the most sought after and expensive red wines in the world, with 80% of the production dedicated to pinot noir and the rest rare whites from the Chardonnay as well as a few rosé wines. Both here in the Côte de Nuits and in its southern counterpart the Côte de Beaune, the best vineyards lie along a narrow band of limestone facing south-east which maximises exposure to the sun. Lower-lying vineyards with more clay drain less well and tend to produce less exciting wine. The principal villages of the Côte de Nuits, from north to south, are Gevrey-Chambertin, Morey-St-Denis, Chambolle-Musigny, Vougeot, Vosne-Romanée, Flagey-Échézeaux, and Nuits-St-Georges. The best sites, accounting for less than 1% of Burgundy’s total production, are designated grand crus and, in the hands of the right winemaker, make quite sumptuously concentrated wines which can benefit from many years’ ageing in bottle. Within each village, different vineyards display their individual characteristics according to the exact soil structure, elevation, and topography. Some wines are weighty, others intensely elegant, but all should have concentration. 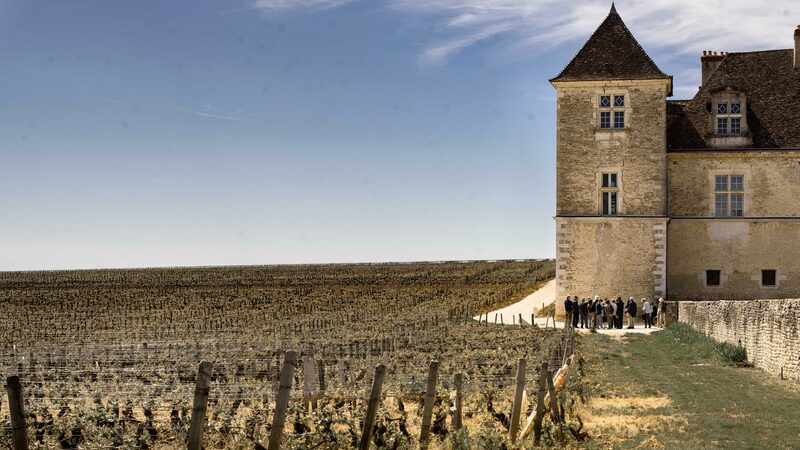 Style depends in part on the character of the village: Gevrey-Chambertin, Vougeot and Nuits-St-Georges tend to produce robust, long-lived wines; Chambolle-Musigny and Vosne-Romanée epitomise finesse and elegance. The sheer rarity of these wines accompanied by increased demand is reflected in the prices with some of the most prestigious Grand Crus fetching several thousand euros a bottle! Fortunately, there are still some excellent wines at reasonable prices to be found. However, the buyer has to be patient and knowledgeable since these wines are often to be found in the lesser publicised villages and slightly off the beaten track. One can still find these gems in the Côte de Nuits Villages such as Fixin, Brochon, Premeaux, Comblanchien and Corgoloin where the talented winemaker still offers classic Burgundy wines with their notes of blackcurrant, cherry, fresh red fruits and earthy mushroom and spice. Another area which holds a few surprises is the Hautes Côtes de Nuits which produces both red and white wines from the higher slopes above the escarpment of the Côte de Nuits. Chablis is the furthest north and geographically set apart from the rest of Burgundy it is hardly surprising therefore that the wines are naturally high in acidity and steely rather than luscious and oaky. The river Serein which flows through the area, moderates the climate and grapes that have been grown here since the Cistercian monks first started the vineyards in the 12th century. In terms of location and climate, Chablis is closer to Champagne, with harsh cold winters, spring frost and hot summers. The dominant soil here is called “Kimmeridgian” limestone, just like in Champagne. Its white chalky texture retains and reflects the warmth of the sun, sorely needed this far north, which helps the grapes ripen and gives the wines a purity and crispness so typical of these Chardonnays. Chablis comes in four very distinct quality levels. Petit Chablis comes from the outlying vineyards of the Chablis wine district and should be drunk young as most of the better wines are produced around the pretty town of Chablis. These qualify for the straightforward Chablis appellation, which can vary considerably in quality and should usually be drunk young. Some particularly well-sited vineyards comprising roughly 25% of total Chablis production, are designated Chablis Premier Cru and represent some of the district’s most consistent buys. The very best vineyards are on the west-facing hill immediately above the village and qualify as Chablis Grand Cru. These are the vineyards that have made Chablis’ reputation as they offer a remarkable combination of refreshment and longevity. These Grand Cru and some of the best Premier Cru Chablis can improve in bottle for more than a decade and that extra acidity can make top-quality Chablis a better candidate for ageing than many a Puligny or Chassagne from further south! The « Grand Auxerrois »Before phylloxera, Chablis and the wine producing villages that surround it (Saint-Bris-le-Vineux, Irancy, Coulanges-la-Vineuse, Chitry-le-Fort, Joigny, Tonnerre, Epineuil and Vézelay) was the largest wine producing area in France. 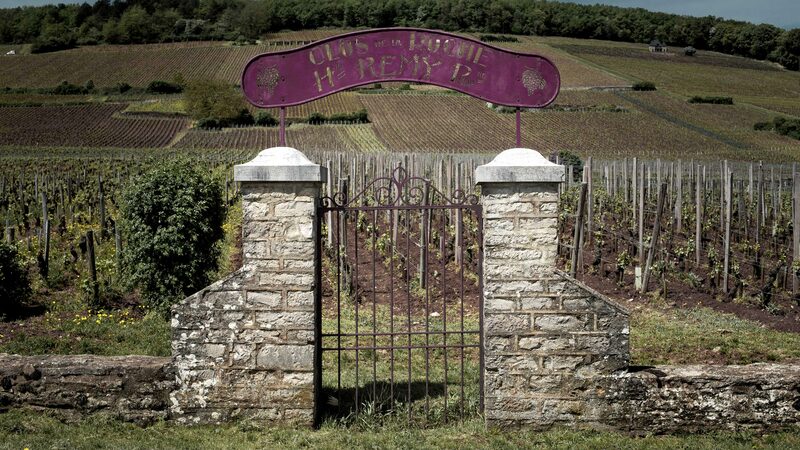 With some 40 000 ha planted with vines only 100 years ago, the region provided the Greater Paris area with two-thirds of all the Burgundy wine consumed. This thriving trade was made possible due to the proximity to Paris and the facility of transporting the wines by barge on the river Yonne and then The Seine, directly into the heart of the capital. Then, when the phylloxera epidemic wiped out the vineyards only the most favourable areas were replanted with new resistant root-stock. Of course, Chablis recovered and today is known by wine-lovers as a producer of world-class Chardonnays, nevertheless, the rest of this part of northern Burgundy stills remains relatively unknown outside France, which is a great pity since there are many talented wine-growers producing superb value for money wines. The Grand Auxerrois covers a multitude of very old small plots which are today sorted into four sectors: • The Auxerrois covers around a dozen communes to the south and south-east of Auxerre • To the east of Chablis lie the vines of the Tonnerrois which are found in the valley of the Armançon river. • In the south of the Grand Auxerrois region is the Vézelien, which covers Vézelay and some of the neighbouring communes. • The Jovinin on the slopes of the river Yonne overlooking the town of Joigny to the north of Auxerre Mostly traditional Burgundy varietals are planted on these limestone soils; the Chardonnay and Aligoté for the whites and Pinot Noir and Gamay for the Reds. That said, there also some rather « quirky » grape varieties to be found here, such as an ancient varietal known as the César for the reds of the Irancy appellation and the Melon grape (better known as the Muscadet!) for some whites. What’s more, the Sauvignon Blanc makes its appearance in the delightfully aromatic wines of the appellation Saint Bris and even the Pinot Gris slips into some rosés!